Low income and unemployed pregnant women can qualify for Medicaid if they meet eligibility requirements. 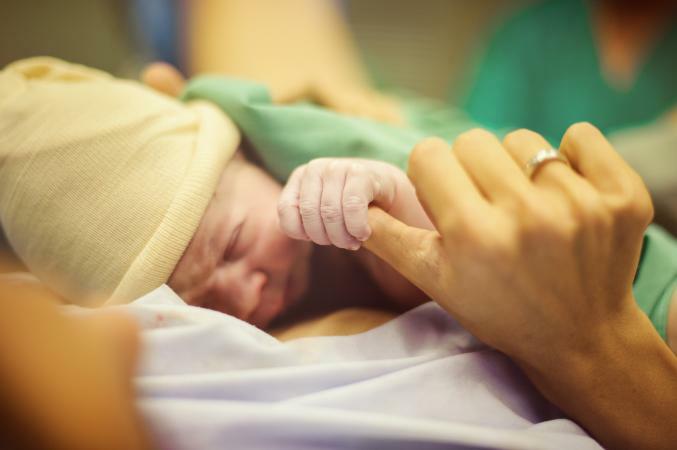 This United States federal government-sponsored insurance will cover the cost of a woman's prenatal care, postpartum care, labor and delivery, and newborn and infant medical care. Medicaid is a state-run federal health insurance program granted to states through the United States Department of Health and Human Services (DHHS) for people in need. At the state level, Medicaid is administered by your state or local Department of Health or Public Welfare offices. How Much Does Genetic Testing for Embryos Cost? According to a Jacobs Institute of Women's Health study, Medicaid pays for about 48% of all births in the United States. Medicaid programs at the state level cover medical care for an eligible pregnant woman and baby through the pregnancy and after, based on guidelines from the federal government. All states provide coverage for "pregnancy related services" and "conditions that might complicate pregnancy" for women who are eligible for Medicaid. You will be covered for all pregnancy services even if you apply after you become pregnant. In addition to pregnancy-related services, in the states that also provide comprehensive Medicaid benefits for eligible pregnant women, you are covered for medical problems that are not related to your pregnancy. According to a review of Medicaid coverage for pregnant women by the National Women's Law Center, there are 37 states that provide comprehensive Medicaid coverage beyond pregnancy care. Services noted as optional on the Medicaid benefits list, such as vision and dental, are usually not covered. Postpartum care for mother up to 60 days after delivery. How Is Your Bill Paid? Medicaid pays for your care directly to your pregnancy care providers or hospital facilities with whom they have contracted to provide medical care to their enrollees. You have to get your care through providers and hospitals that accept Medicaid, and they will submit your bill to Medicaid. By law, providers are not allowed to ask for a co-payment so if you are on Medicaid and receiving covered services, there is no cost to you. Federal requirement is that states provide Medicaid coverage for pregnant women whose household income is at or below 138 percent of the federal poverty level (FPL). According to a Kaiser Family Foundation report, by January 2016 two years after the Affordable Care Act (ACA), 33 states had raised the income eligibility limit to 200 percent of the FPL or over. If you reside in one of these states, you may be income eligible during your pregnancy even if you were ineligible before you became pregnant. You can contact your state's office through their website for details on their eligibility criteria for Medicaid coverage. Most physician or hospital-based prenatal clinics will also have resources to help you apply. In this way, they ensure you have insurance and they get paid. Medicaid insurance is of benefit to many women in financial need during pregnancy. Even if you were not eligible before, you may become eligible once you are pregnant. At the least, all your pregnancy-related medical care will be covered and depending on which state you reside in, you may qualify for medical care not related to your pregnancy.